Hybrid sales to the end of August were at about 18,300 units compared with total Canadian vehicle sales of 1,286,000 to the same time last year. If cheap gas is supposed to drain the demand for electrified cars, it seems Canadians didn’t get that memo. And despite a decision by Honda to not make a hybrid version of its newest-generation Civic, hybrids are making a comeback in 2016, with Toyota leading the charge. Hybrid sales may be down from their reported peak of about 25,000 in 2012, but data compiled by Automotive News Canada indicates that total 2016 hybrid sales grew about 35 per cent through August compared with the same period last year. With hybrid sales to the end of August at about 18,300 units compared with total Canadian vehicle sales of 1,286,000 to the same time, hybrids accounted 1.4 per cent of new vehicle sales. Much of 2016’s growth was fed by one new model: the hybrid version of Toyota’s hot-selling RAV4. With 4,023 sales through August the compact CUV is easily the country’s biggest-selling gas/electric vehicle. Toyota, the hybrid pioneer, is helping the hybrid cause in other ways as well. The Prius has grown its sales by 67 per cent since its total redesign for 2016. That growth was more than enough to offset modest declines for the older Prius c subcompact, Prius v wagon, and the Highlander Hybrid CUV. New-model buzz for the redesigned Chevrolet Volt also contributed to hybrid growth this year (that is, if you count GM’s extended-range electric vehicle as a hybrid). 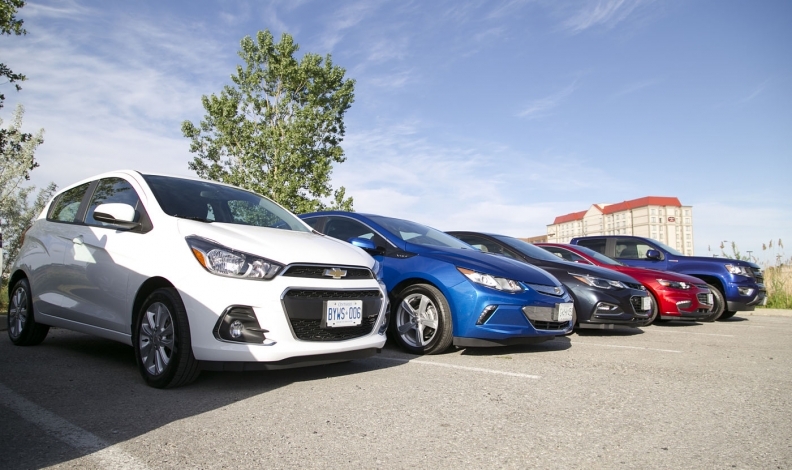 Volt sales increased 131 per cent through August. Yet some long-established hybrids also grew their sales in 2016, including the Ford C-Max and Fusion, the Lexus RX400h, and the aforementioned Camry; hybrid versions of Porsche’s Cayenne SUV and Panamera sedan surged a combined 43 per cent. While the RAV4’s impact on 2016 total hybrid sales could be viewed as a one-shot deal, other new hybrids in the pipeline, such as the Chrysler Pacifica, Hyundai Ioniq and Kia Niro, may help sustain the segment; and Honda is bringing back the Accord Hybrid for 2017. As well, the vehicles themselves are more affordable. Early hybrids were often only available in fully loaded trims. Now the Camry and Fusion hybrids, for example can be acquired in the same base trims as the conventional versions.